The exterior of the restaurant looked shabby, but the interior was unexpectedly clean and tidy. Service was prompt and friendly, but that's about where the positives end. After seeing the 84% rating on Urbanspoon, I had expected the food to be at least decent, but was surprised to find that everything tasted worse than homemade fare. The braised tofu (紅燒豆腐) ($8.99), or more accurately the stir-fried vegetable dish, was basically flavourless apart from the super salty thick starchy sauce that had soaked into the tofu. The carrots were still completely raw and everything else other than the super salty tofu had no flavour at all. The braised cod (干燒班塊) ($12.95) tasted better as the fish was tender, but again there was an excess of super thick starchy sauce. The fish was literally swimming in a pool of red sauce that was thick enough to be a mousse. The red gel-like sauce was sweet and sour and actually tasted ok, but the consistency ruined it. 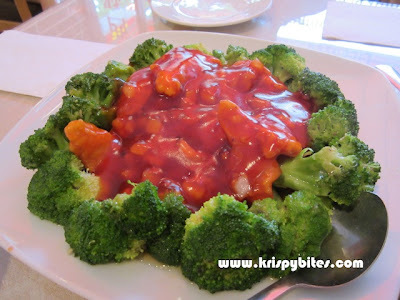 The portion seemed big, but there wasn't much fish and most of it was just broccoli and sauce. That brings me to another issue: why broccoli with every dish? There must be other seasonal vegetables to choose from. Our first dish also had a lot of broccoli, so we ended up getting quite bored of it. 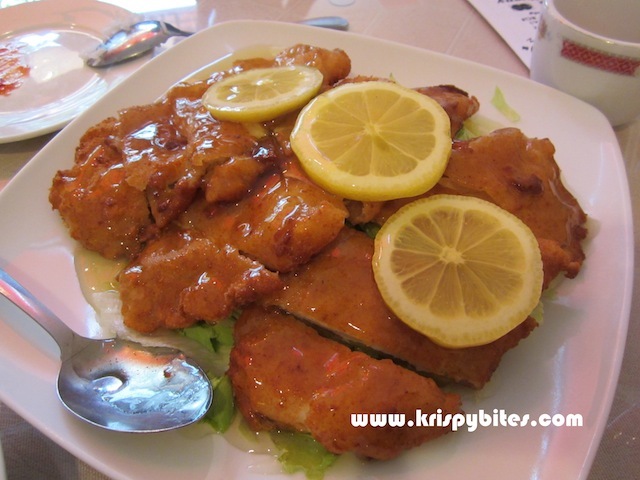 The breaded lemon chicken (檸檬酥雞) ($10.95) was a recommendation by the waitress who told us it was a very popular dish with Caucasians. 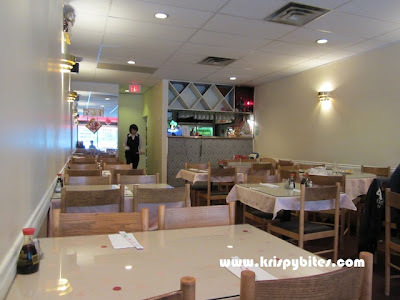 I should have known to avoid it because I've found that usually Chinese people and Caucasian people have very different tastes when it comes to Chinese food. But we were assured that the chicken was very lightly breaded and was different from what we would find elsewhere, so we decided to give it a try. Hmm... it was probably the "best" dish of the night, but that's not saying much. Lightly breaded? I don't think so. 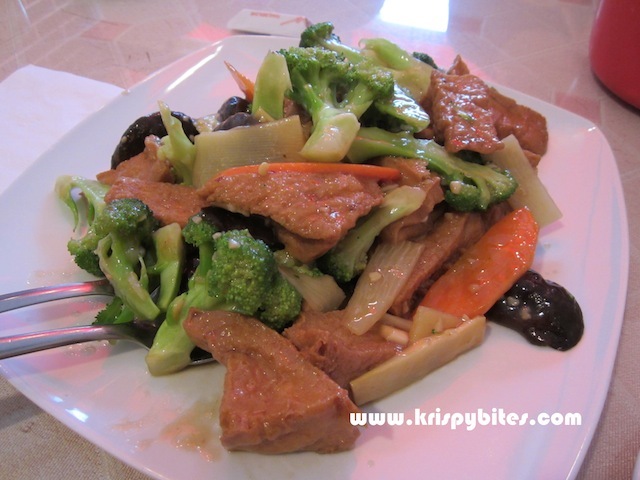 The chicken was cut into super thin slices about 3-5 mm thick and fried with batter. Yes the breading was quite thin, but so was the chicken! The breading was not even attached to the meat and fell off readily as I was eating. The chicken meat itself was tasteless with no seasoning at all. The only good thing about the dish was the sweet-tart lemon sauce, but it was also super thick and starchy just like the sauce in the other 2 dishes. And yay there was no broccoli but a bed of raw limp non-fresh lettuce shreds on which the chicken rested. It's just not Chinese to serve raw vegetables with cooked meat. Now for the best part of the meal: the steamed rice! 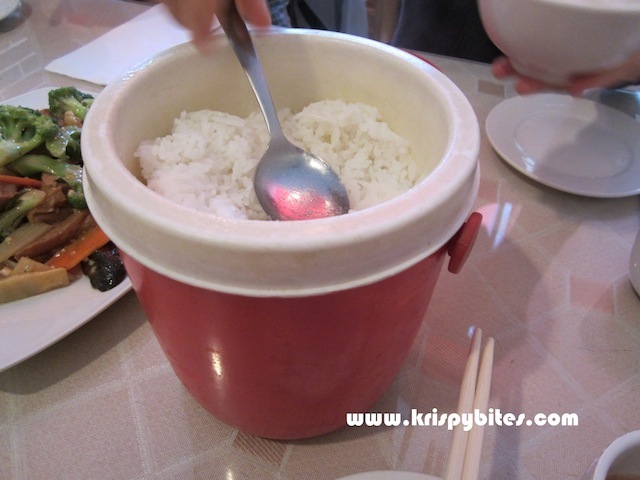 We ordered a bucket ($3.50) and I have to say the portion was huge for the price. Basically this place is about quantity and not quality. If you've been starving for days and are desperate for Chinese food but don't have access to any other Chinese restaurants, then come here. Otherwise stay away or you will be sorely disappointed.